I am the Owner and an independent NLP/ML Engineer at Octanove Labs, my one-person consulting/freelancing business. Formerly, I was a Machine Learning Engineer / Researcher at Duolingo. I love language and machine learning, and help people connect the two. I speak Chinese, Japanese, and English fluently, and am learning Korean and Lojban. I helped launch the Japanese, Korean, and Chinese courses on Duolingo. My research projects recently appeared on TechCrunch and Quartz. Feb. 2019: I'm excited to announce that I started working as an independent NLP/ML engineer. If you are interested in discussing how I can help with your NLP/ML projects, let me know! Oct. 2018: I'm working on my new book titled "Real-World Natural Language Processing" with Manning Publications. Stay tuned! Sep. 2018: I will present our SLAM Shared Task poster at ETCPS 2018 in Iowa City. Aug. 2018: I gave a talk at Baidu in Shenzhen, China. Jun. 2018: I uploaded the companion website for my keynote talk at the Optimizing Human Learning workshop co-located with ITS 2018 (Montréal, Canada, June 2018). Mar. 2018: I'm going to give a keynote talk at the Optimizing Human Learning workshop co-located with ITS 2018 (Montréal, Canada, June 2018). Feb. 2018: Our research project on Duolingo user behavior was featured on a Quartz article. Jan. 2018: We announced 2018 Duolingo Shared Task on Second Language Acquisition Modeling (SLAM) . Nov. 2017: I'm co-organizing the Workshop for Natural Language Processing Open Source Software (NLP-OSS), co-located with ACL 2018 (Melbourne, Australia, July 2018). Nov. 2017: We launched the Chinese for English speakers course on Duolingo. Duolingo - I build and do research for Duolingo, the most popular language learning app in the world, and Duolingo English Test, an affordable and accessible English certification test developed by Duolingo. Books - I co-authored the Japanese book Natural Language Processing: Basics and Technology (Shoeisha). I'm also the lead translator of two O'Reilly books: "Natural Language Processing in Python" and "Machine Learning for Hackers". Music - In my free time, I create music and play jazz. Graduate School of Information Science, Nagoya University, Japan. Doctoral Thesis: "Modeling and Selection of Context for Better Synonym Acquisition"
Master's Thesis: "Utilization of Probabilistic Latent Semantics for Automatic Thesaurus Construction"
Co-organizer of the Workshop for Natural Language Processing Open Source Software (NLP-OSS), co-located at ACL 2018. Invited keynote at the Optimizing Human Learning workshop co-located with ITS 2018 (Montréal, Canada, June 2018). 2011 Field Innovation Award from the Japanese Society for Artificial Intelligence: ANPI_NLP: Safety Information Confirmation Support using Natural Language Processing for The 2011 Tohoku Earthquake. 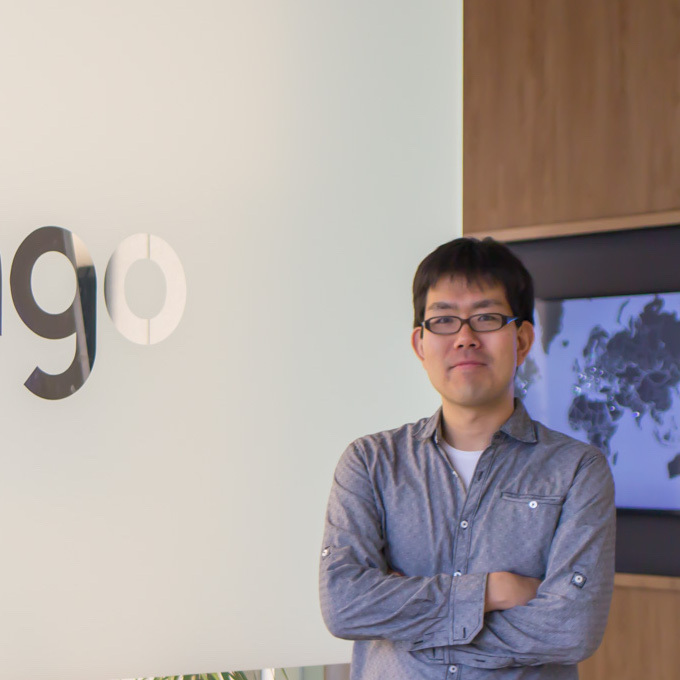 Masato Hagiwara, Real-World Natural Language Processing, To be published by Manning Publications, 2019. Yoh Okuno, Graham Neubig, Masato Hagiwara, Mamoru Komachi. Natural Language Processing: Basics and Technology (Shoeisha) (in Japanese). Shoeisha, 2016. Masato Hagiwara, Koji Murakami, Graham Neubig, Yuichiroh Matsubayashi: Robust NLP for Real-world Data : 7. ANPI_NLP - Mining Safety Information after Disasters Using Natural Language Processing-. Information Processing Society of Japan Magazine. Vol. 53, No. 3, pp. 241-248, 2012. 萩原正人，小川泰弘，外山勝彦: グラフカーネルを用いた非分かち書き文からの漸次的語彙知識獲得, 人工知能学会誌, Vol.26, No.3, pp.440-450, 2011. Masato Hagiwara, Yasuhiro Ogawa, Katsuhiko Toyama. Supervised Synonym Acquisition Using Distributional Features and Syntactic Patterns. Journal of Natural Language Processing, Vol. 16, Num. 2, pp. 59-83, 2009. Masato Hagiwara, Yasuhiro Ogawa, Katsuhiko Toyama. A Comparative Study on Effective Context Selection for Distributional Similarity. Journal of Natural Language Processing, Vol. 5, Num. 5, pp. 119-150, 2008. Masato Hagiwara, Yasuhiro Ogawa, Katsuhiko Toyama. Effective Use of Indirect Dependency for Distributional Similarity. Journal of Natural Language Processing, Vol. 15, Num. 4, pp. 19-42, 2008. Masato Hagiwara, Yasuhiro Ogawa, Katsuhiko Toyama. Bootstrapping-based Extraction of Dictionary Terms from Unsegmented Legal Text. New Frontiers in Artificial Intelligence: JSAI 2008 Conference and Workshops, Revised Selected papers, Lecture Notes in Computer Science, Vol. 5447, pp. 213-227, 2009.